Pakistan's ousted prime minister Nawaz Sharif was today arrested after being sentenced to 10 years in prison last week in one of the three corruption cases. 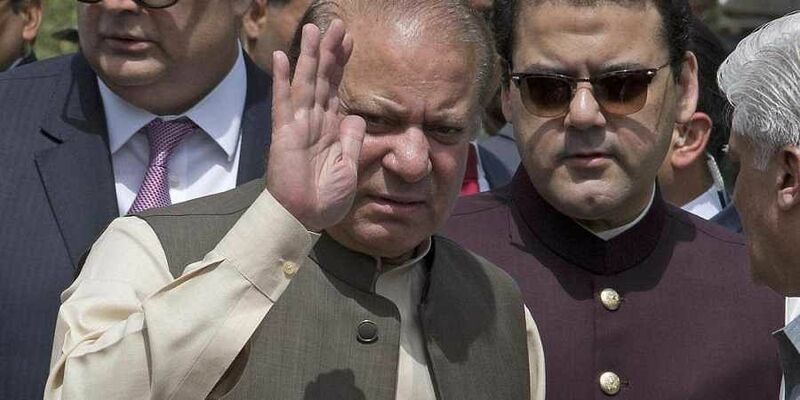 LAHORE: Pakistan's ousted prime minister Nawaz Sharif was today arrested after being sentenced to 10 years in prison last week in one of the three corruption cases against him in the high-profile Panama Papers scandal. April 4, 2016: The International Consortium of Investigative Journalism publishes the Panama Papers, exposing tax evasion by the world's elite through off-shore accounts and shell companies. The documents include the name of the Sharif family. July 13, 2018: Sharif and Maryam arrested on their arrival in Lahore.